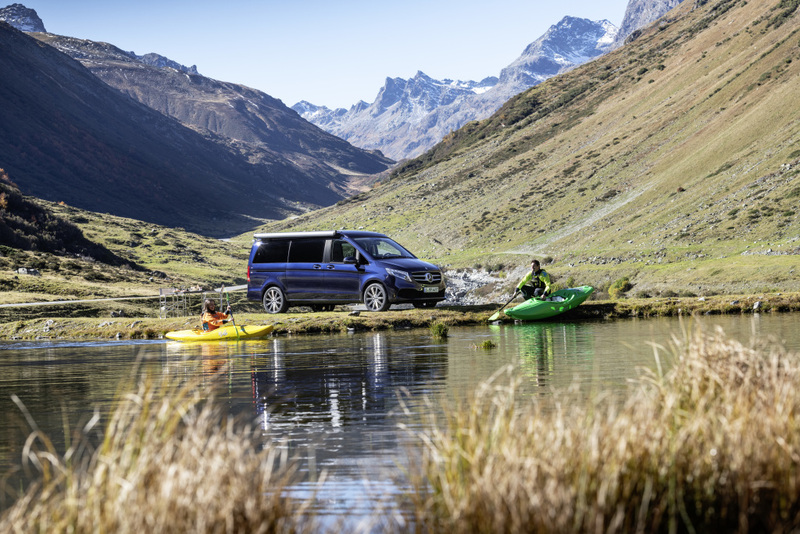 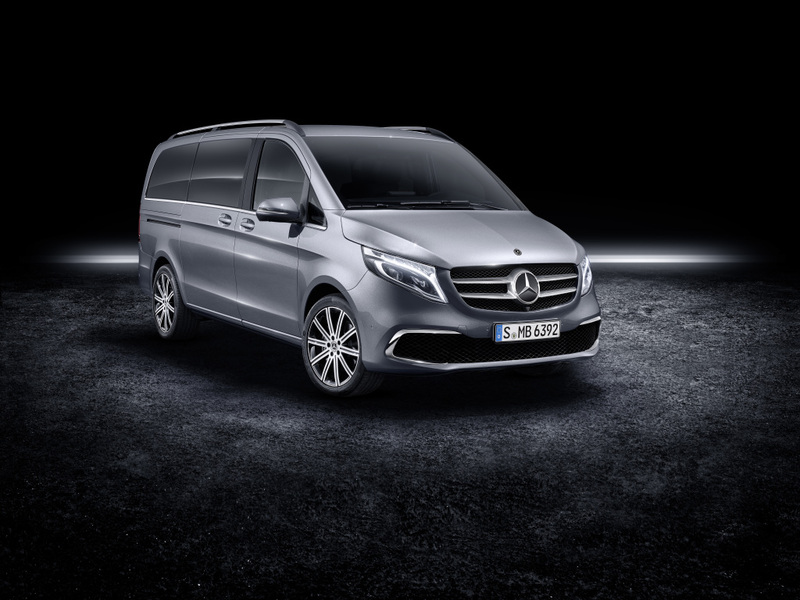 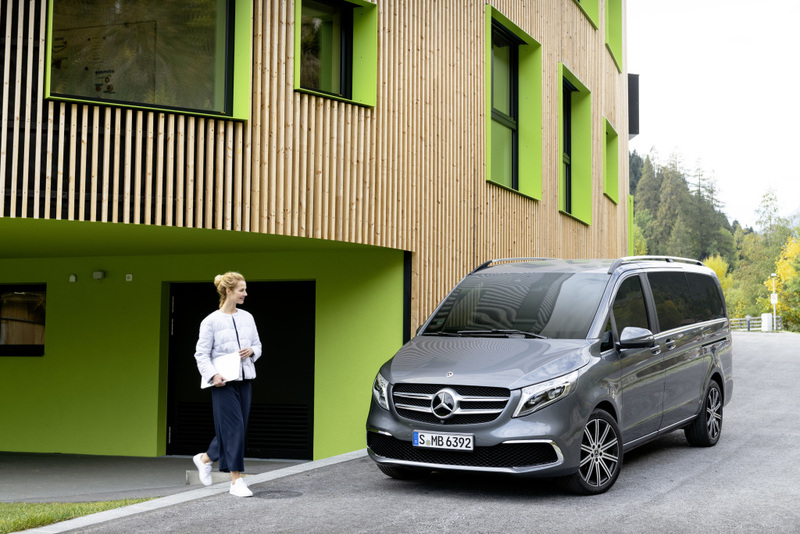 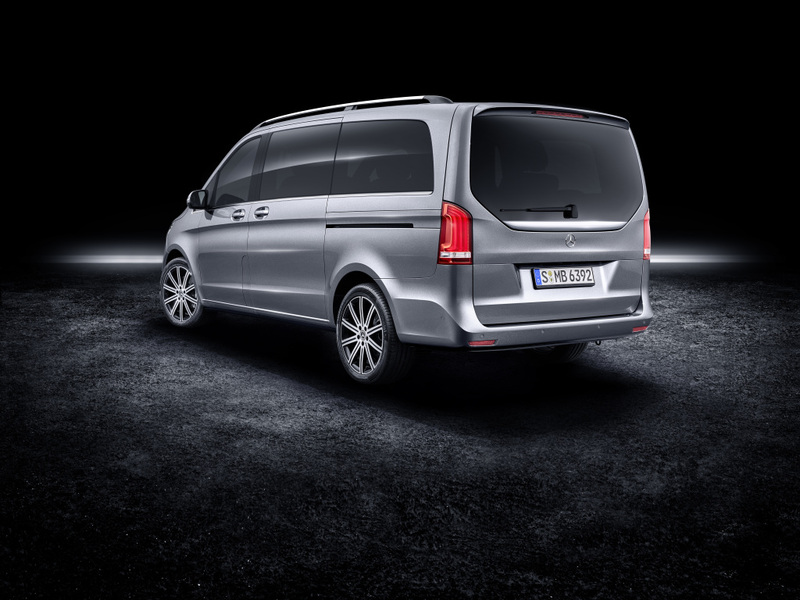 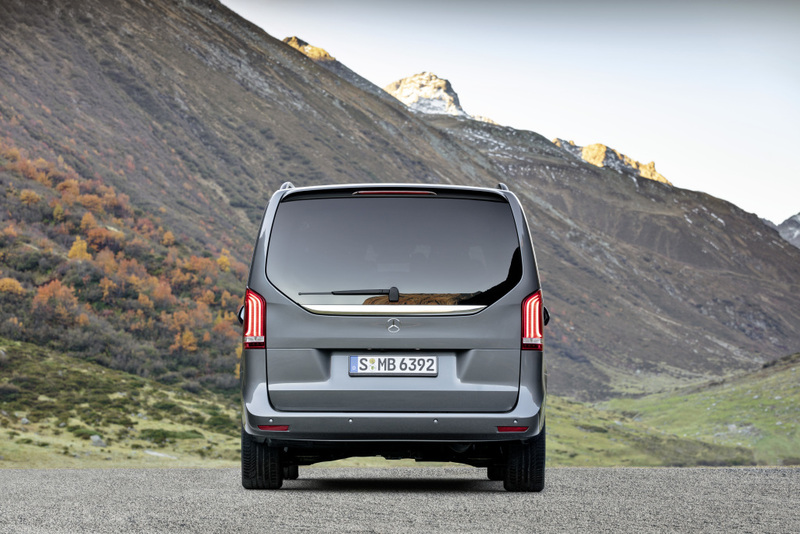 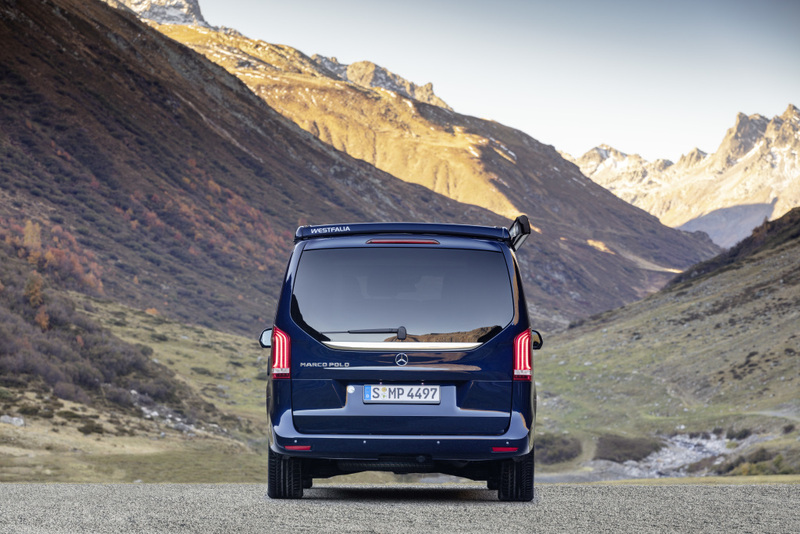 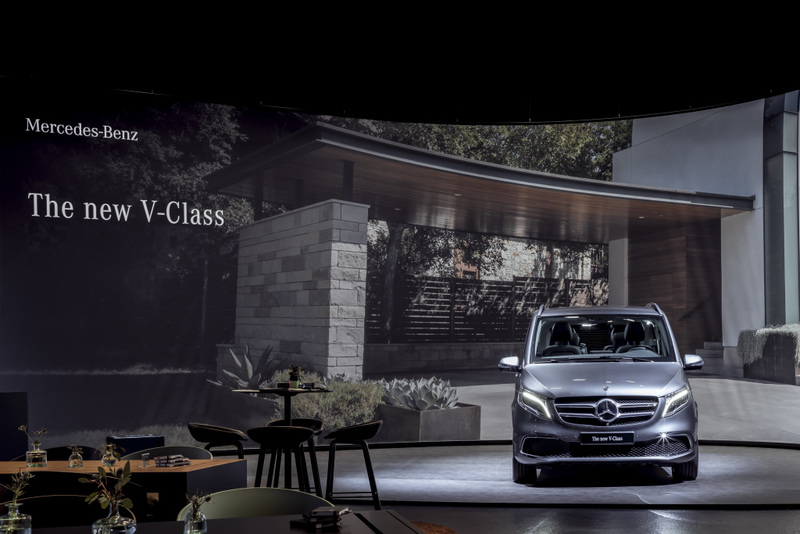 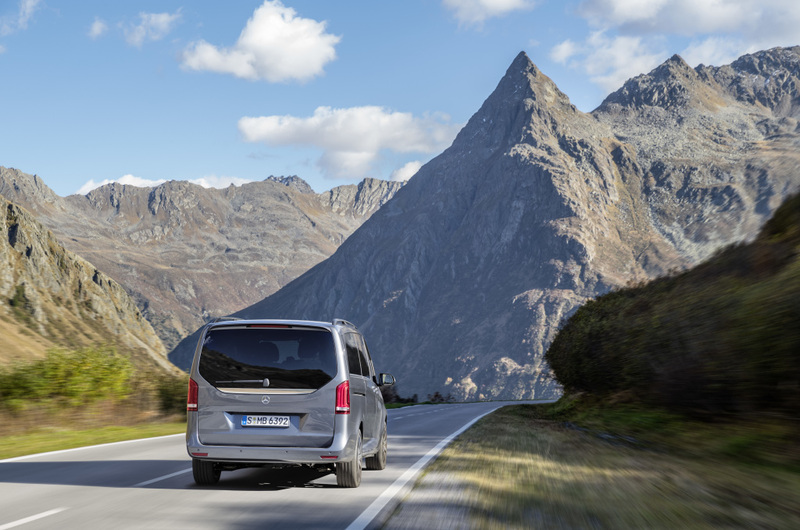 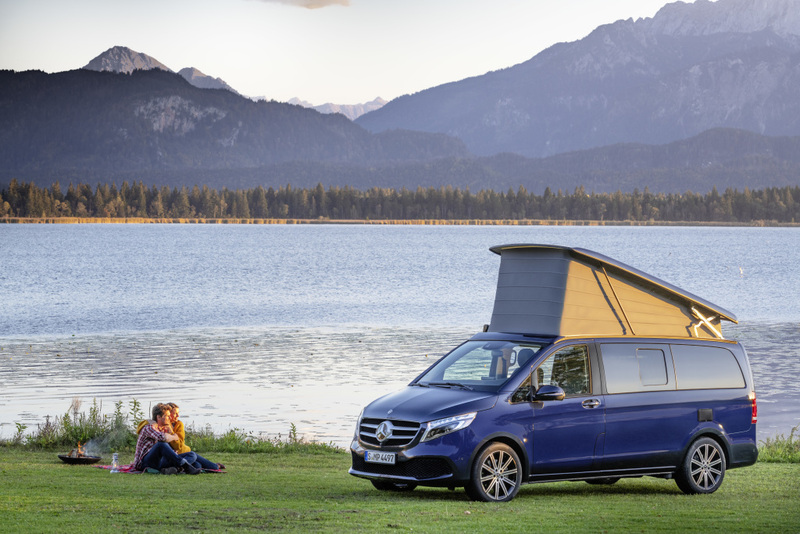 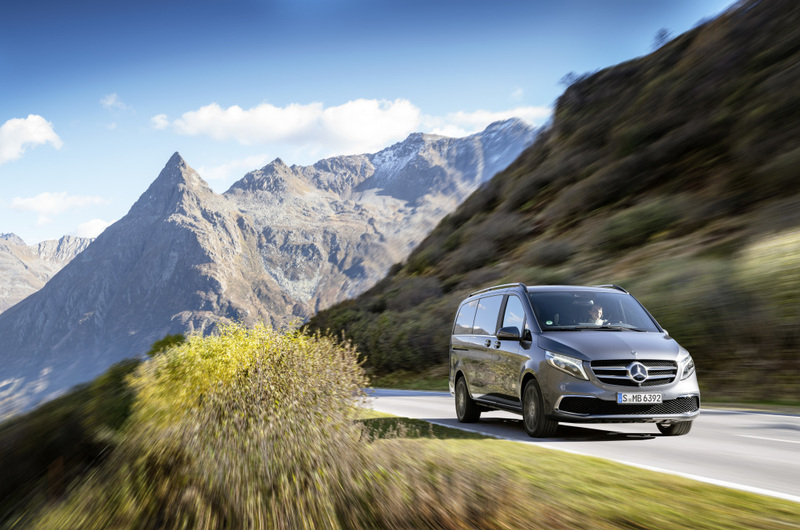 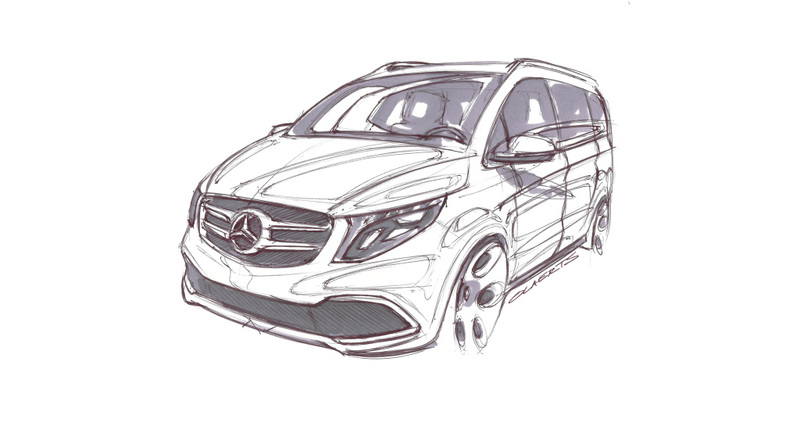 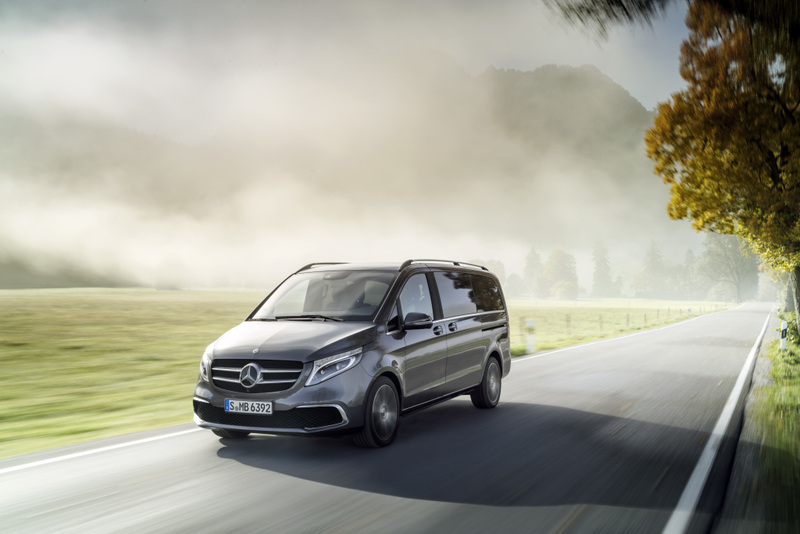 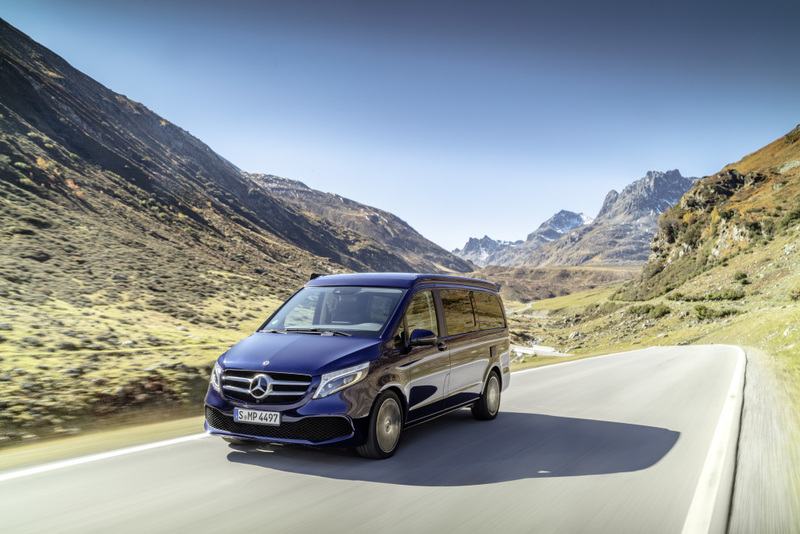 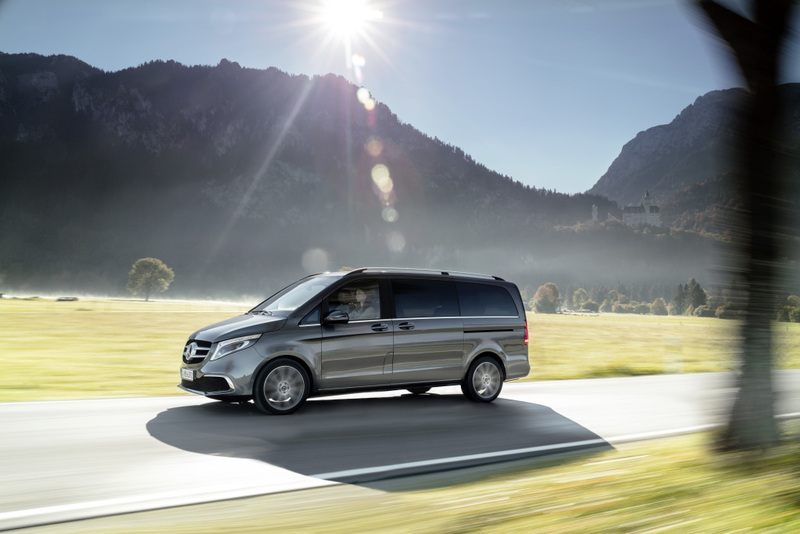 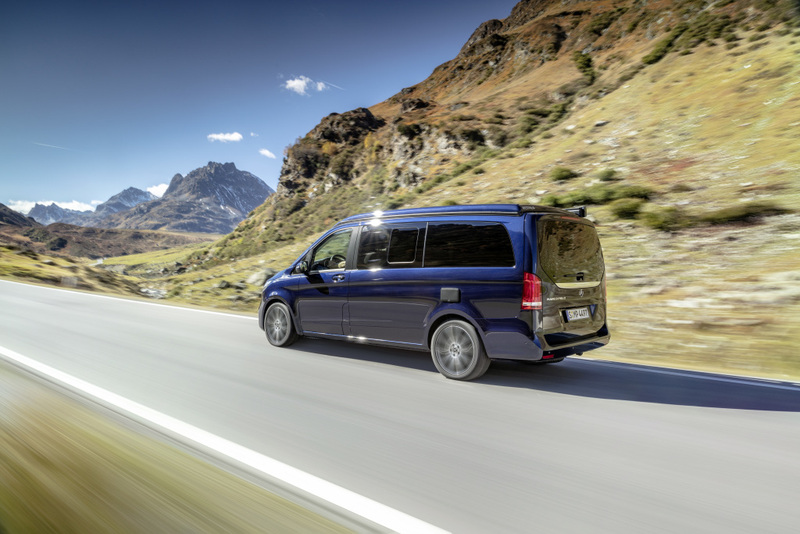 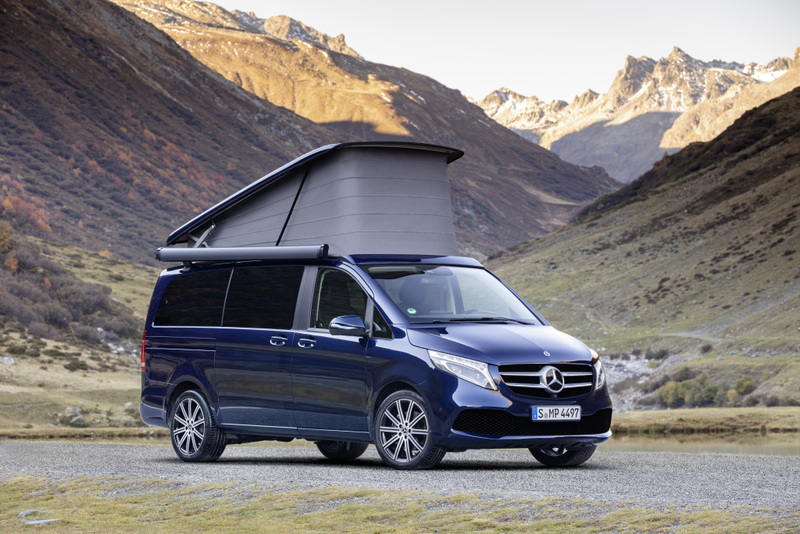 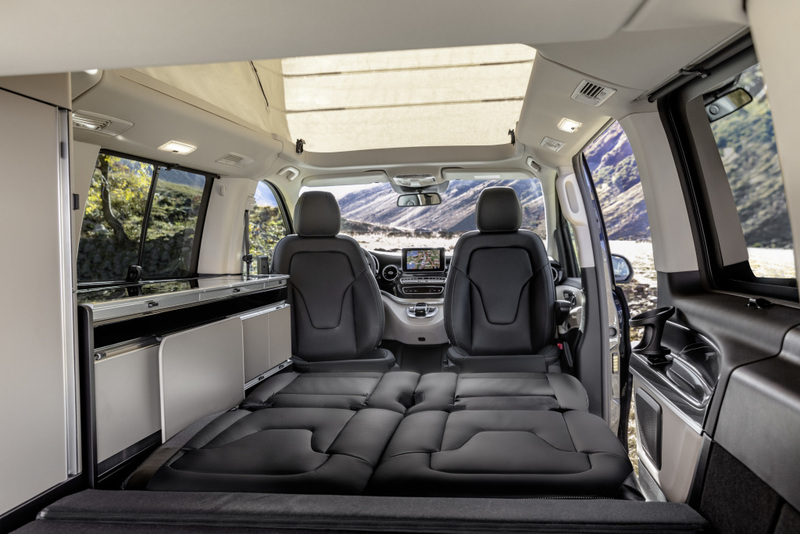 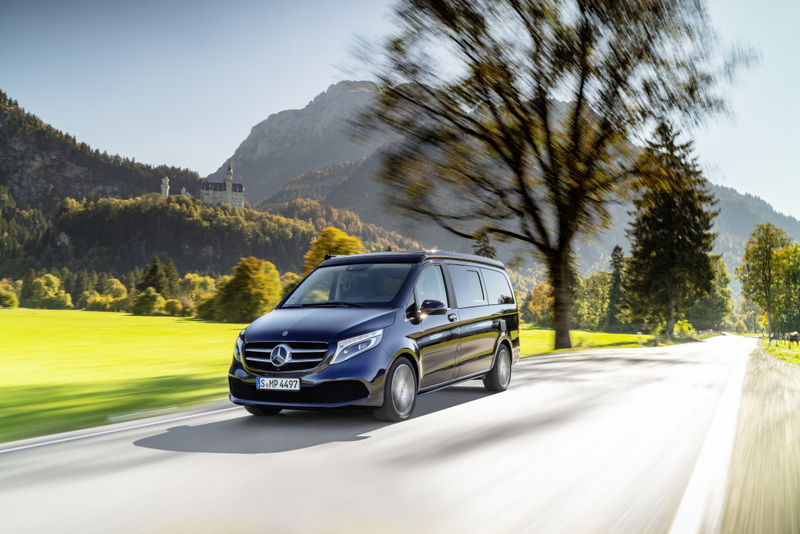 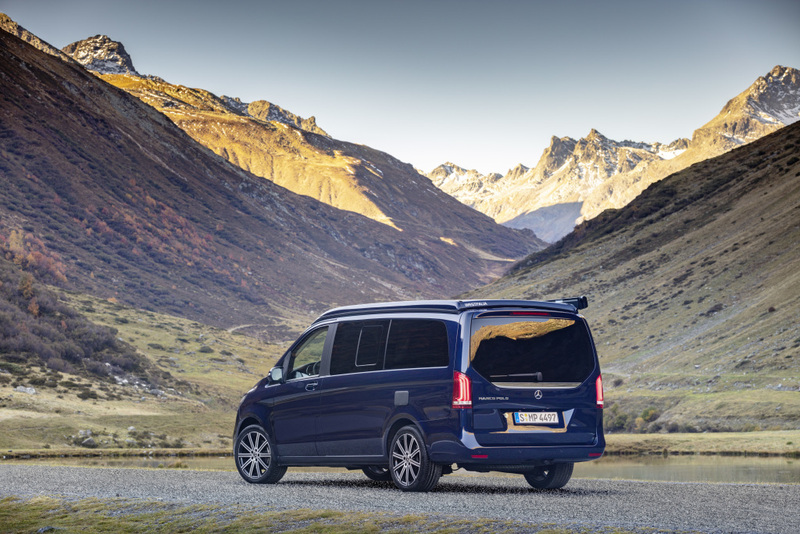 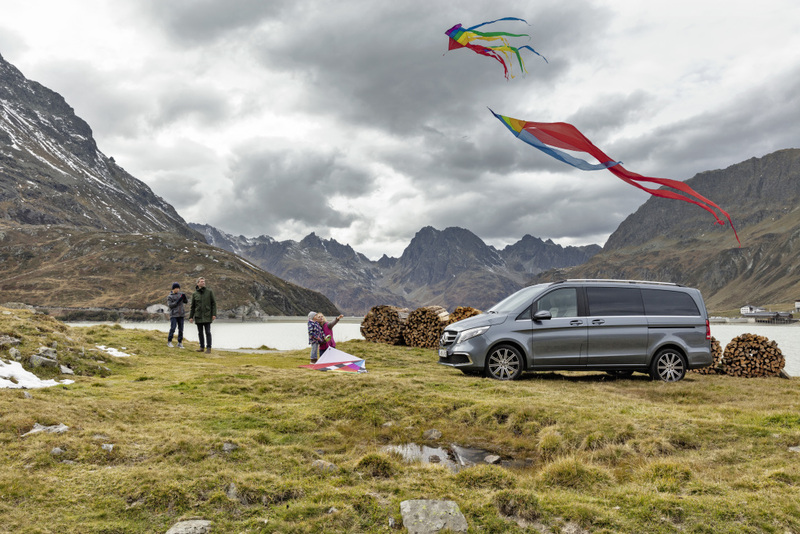 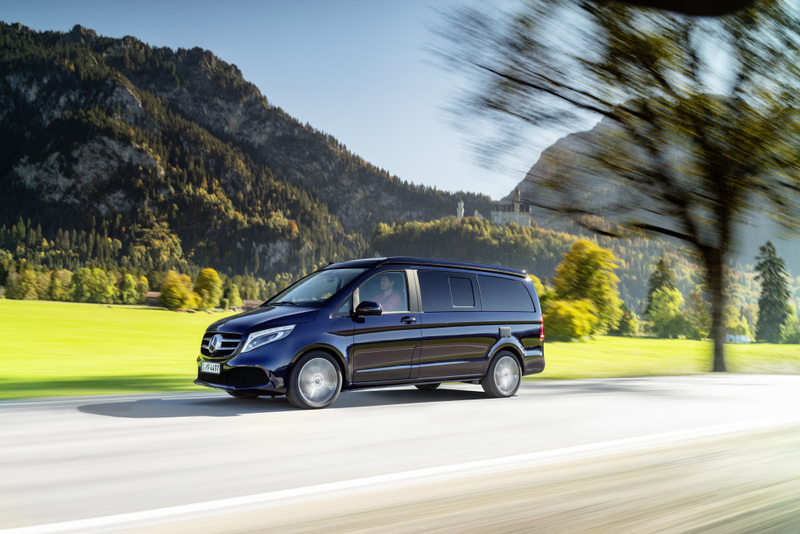 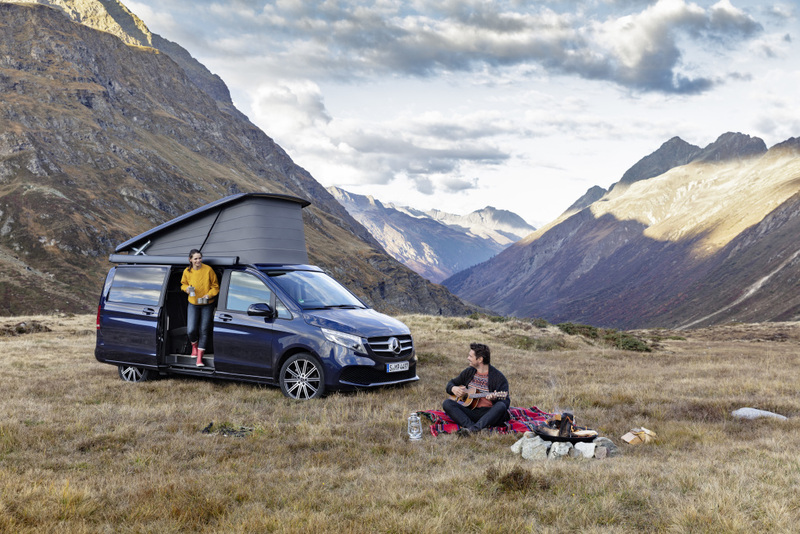 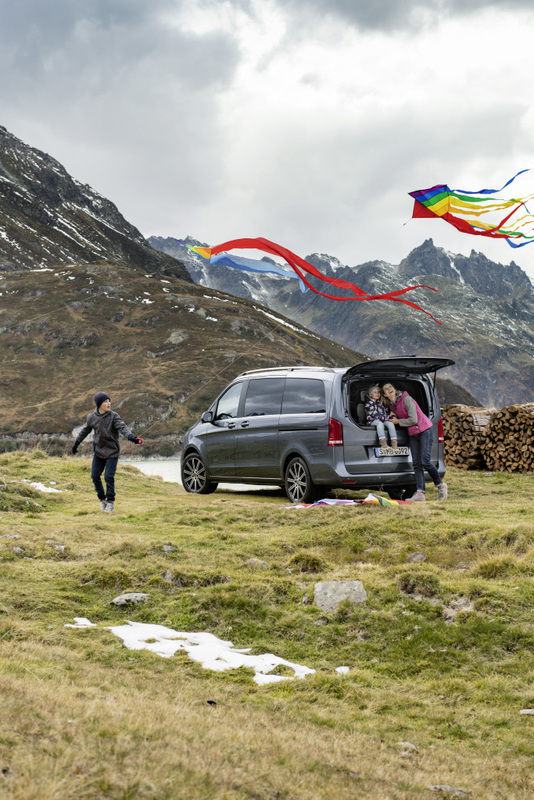 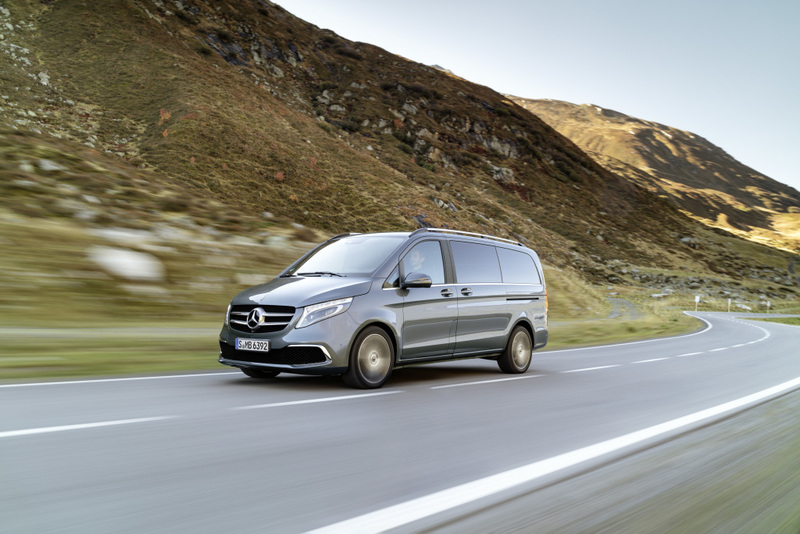 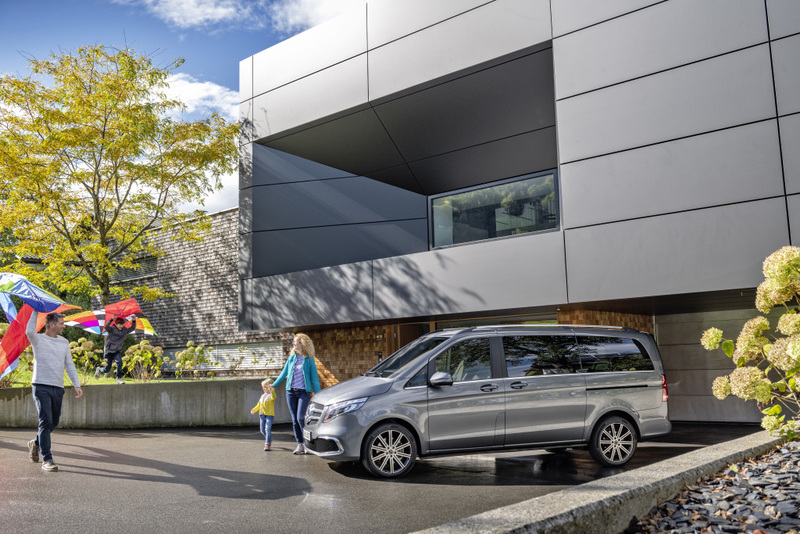 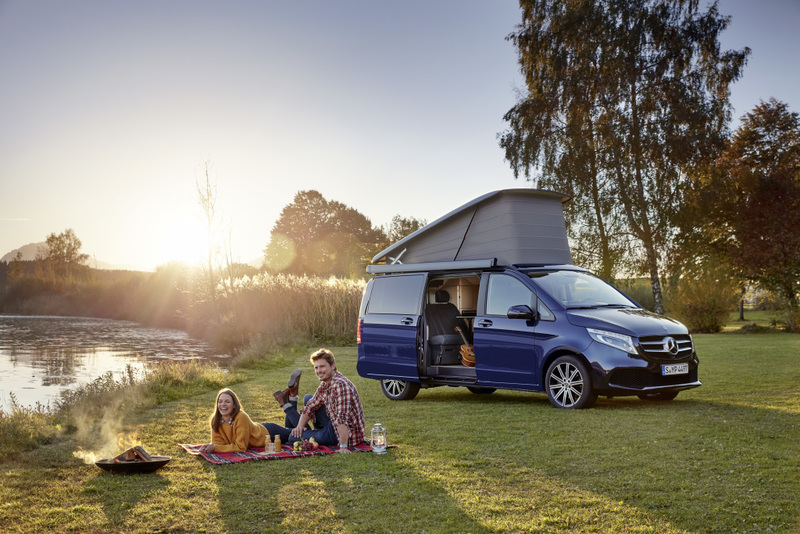 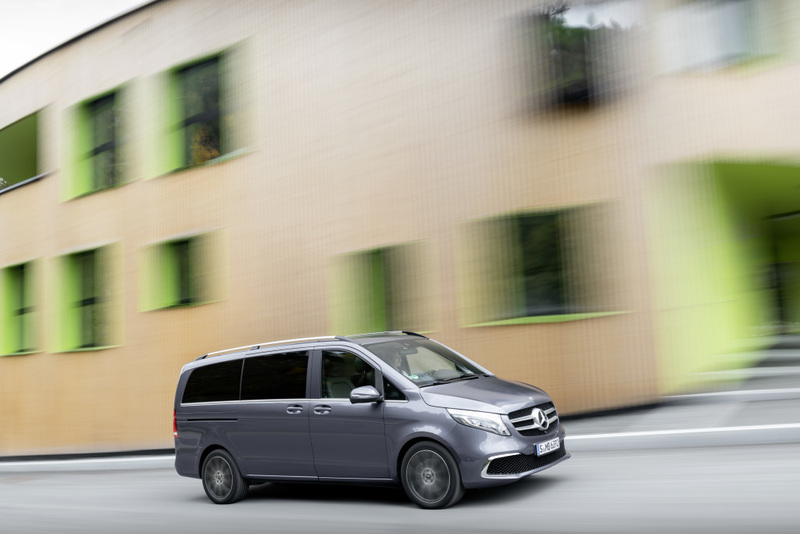 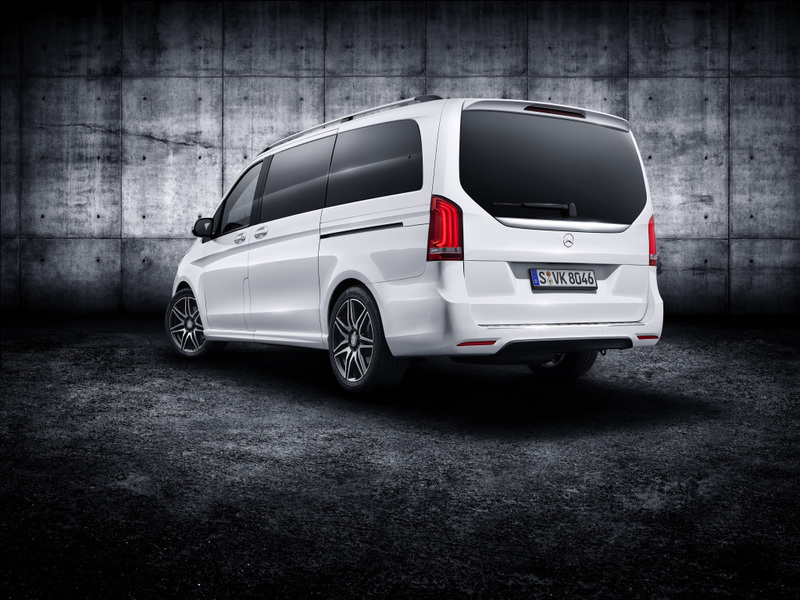 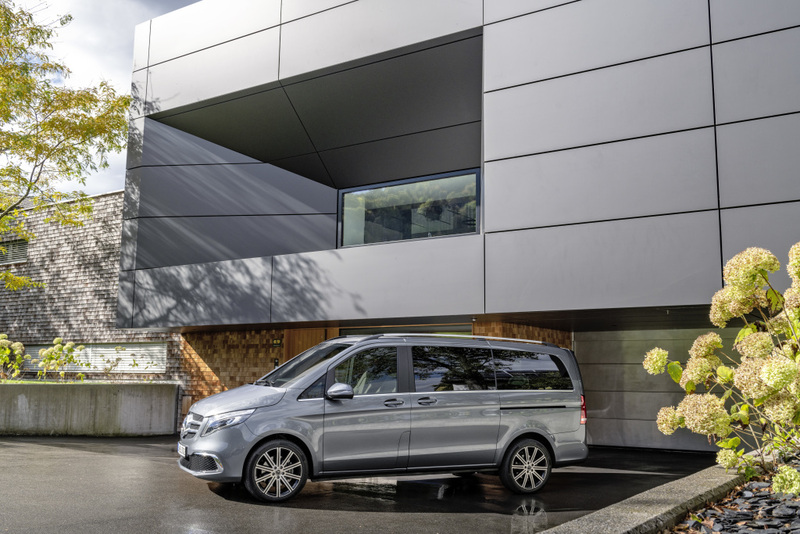 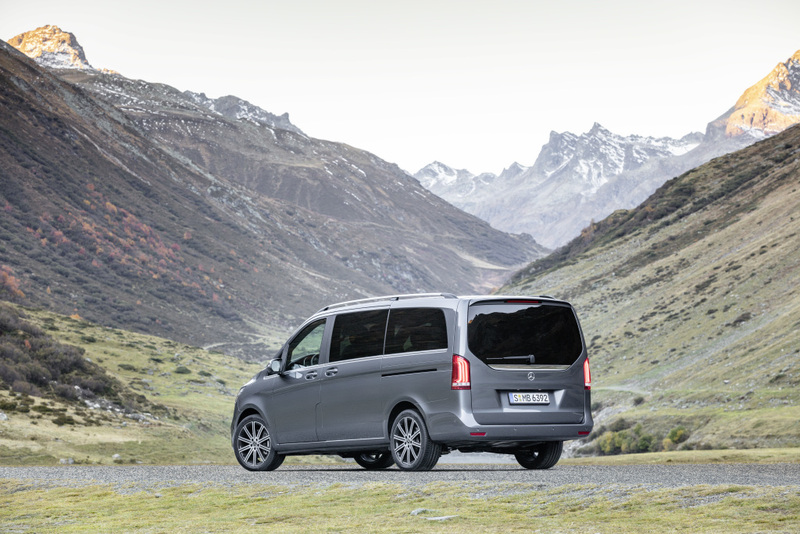 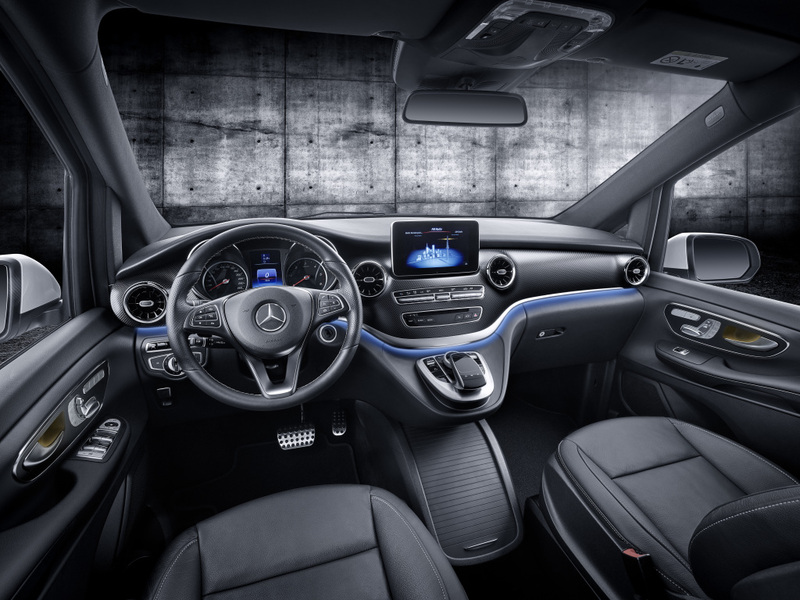 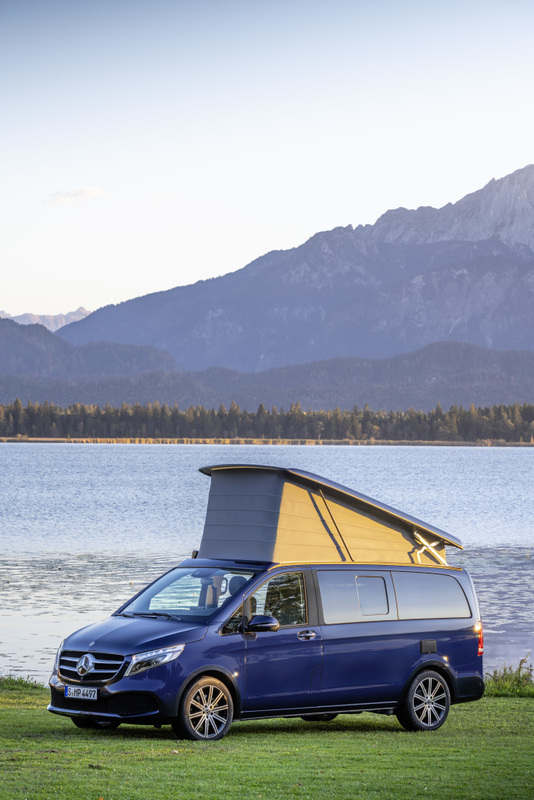 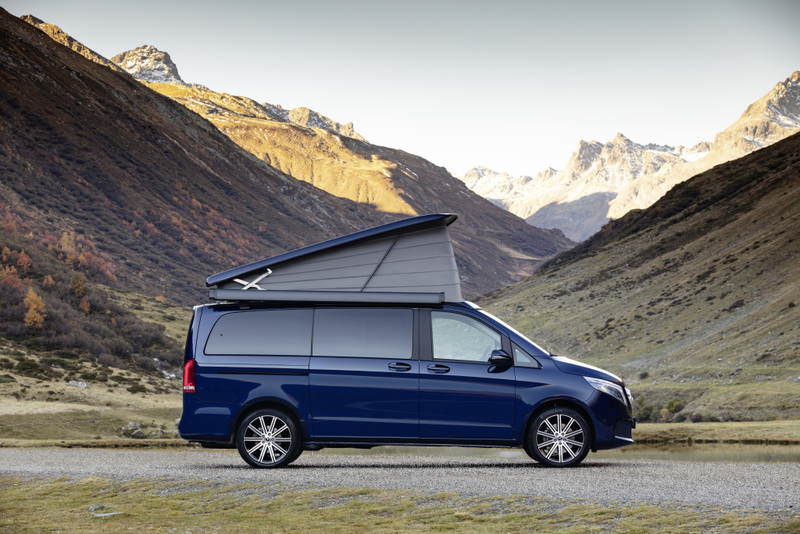 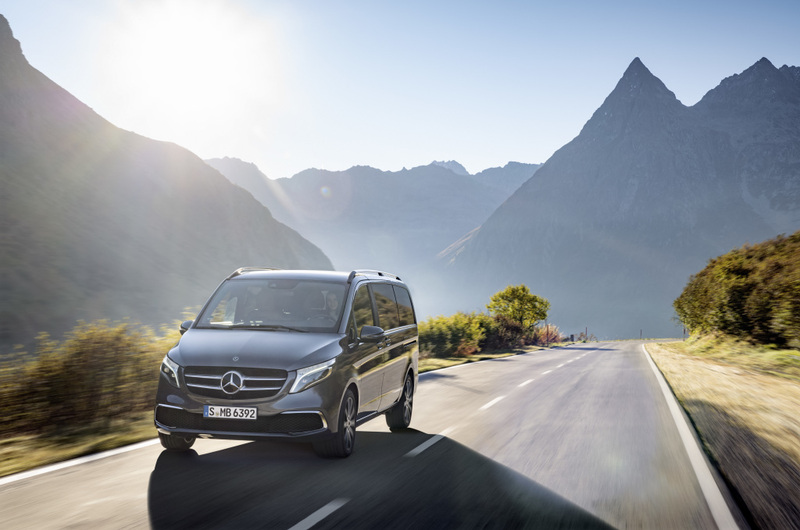 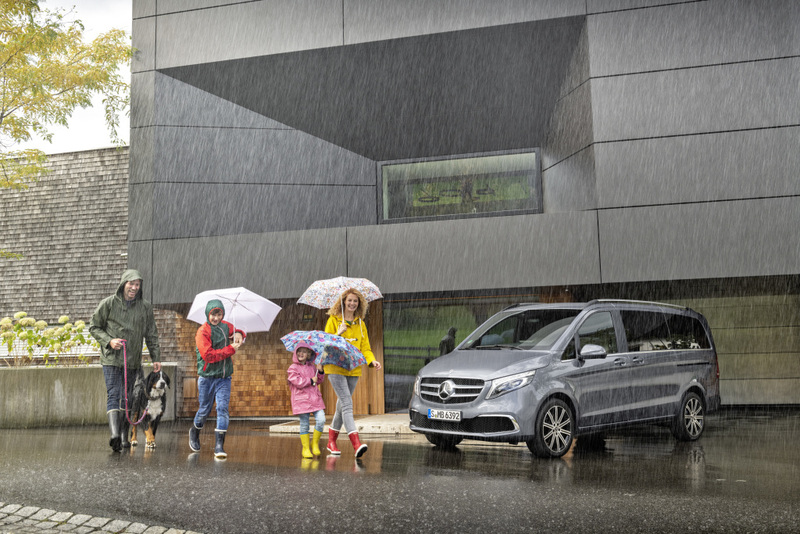 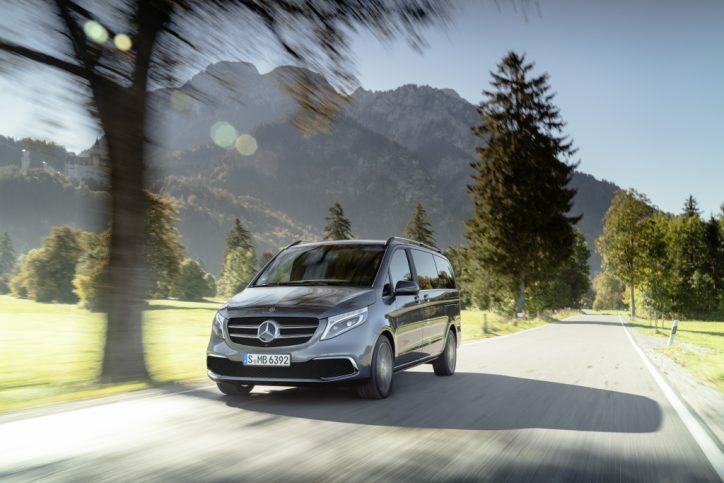 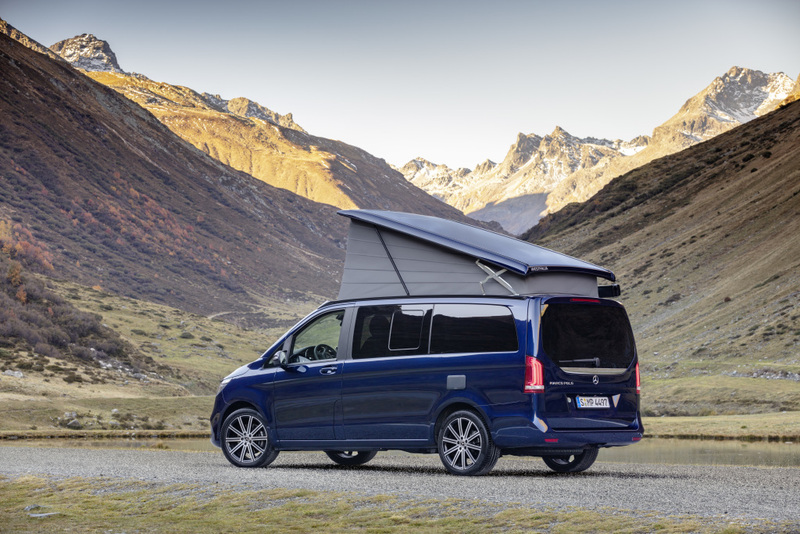 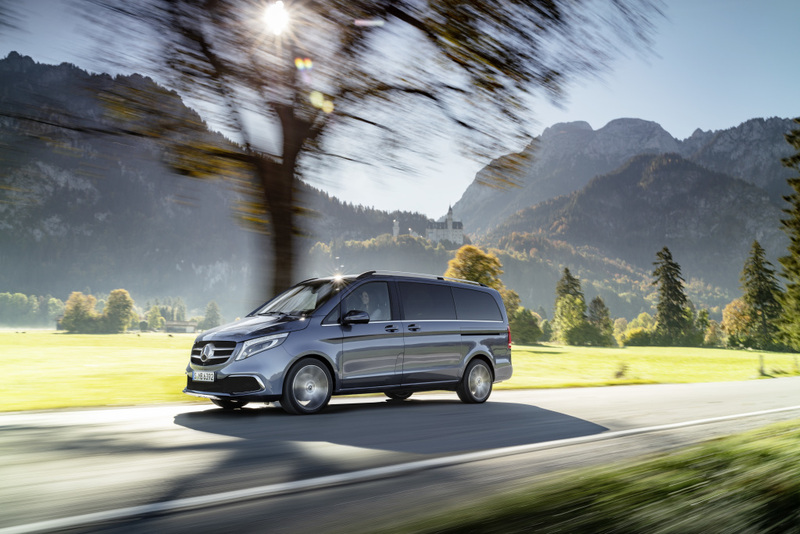 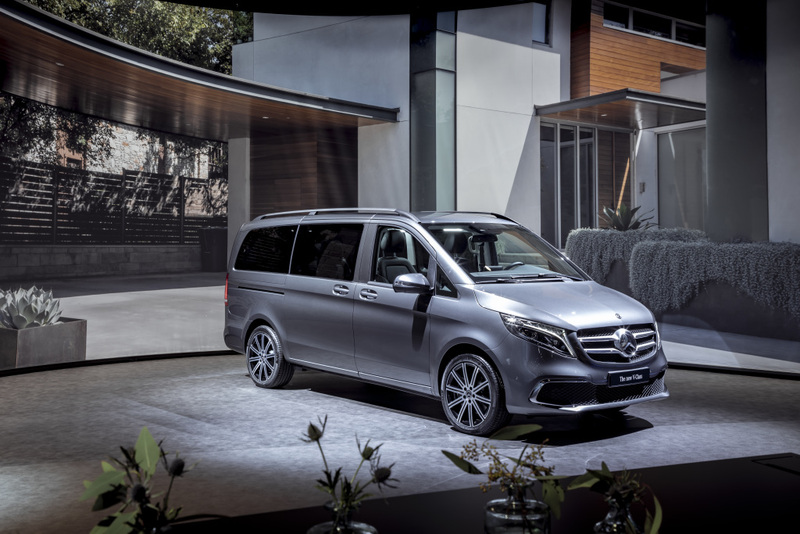 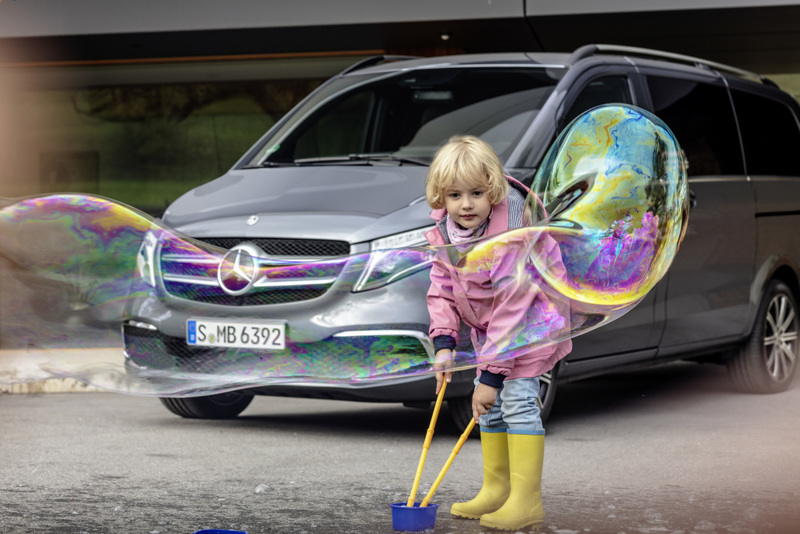 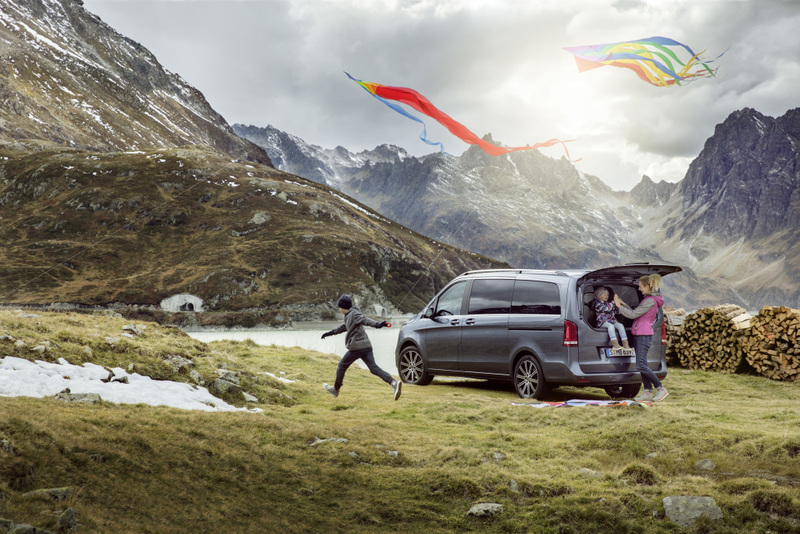 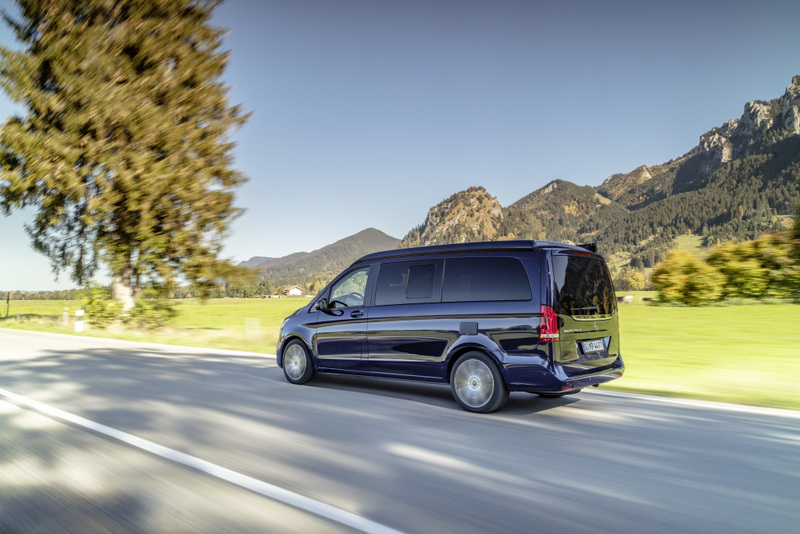 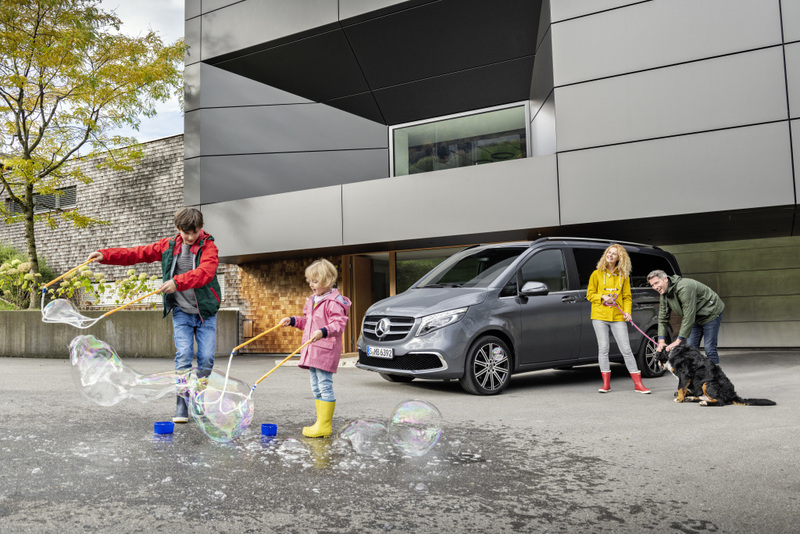 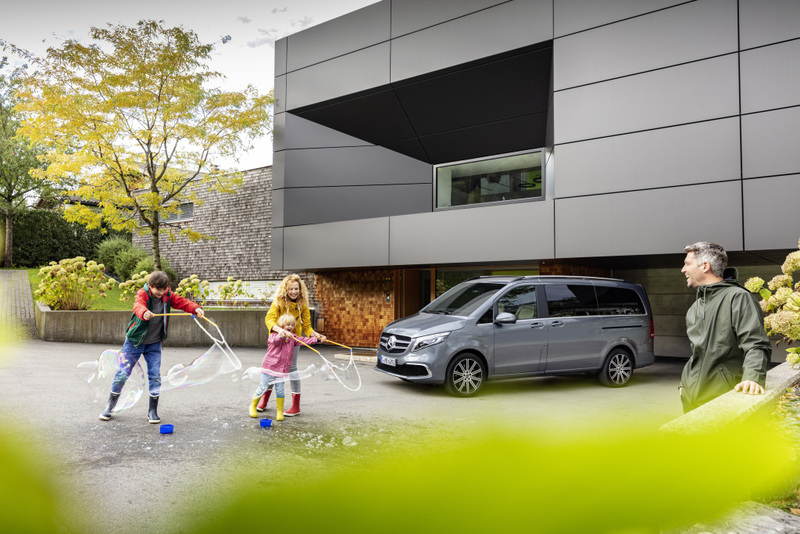 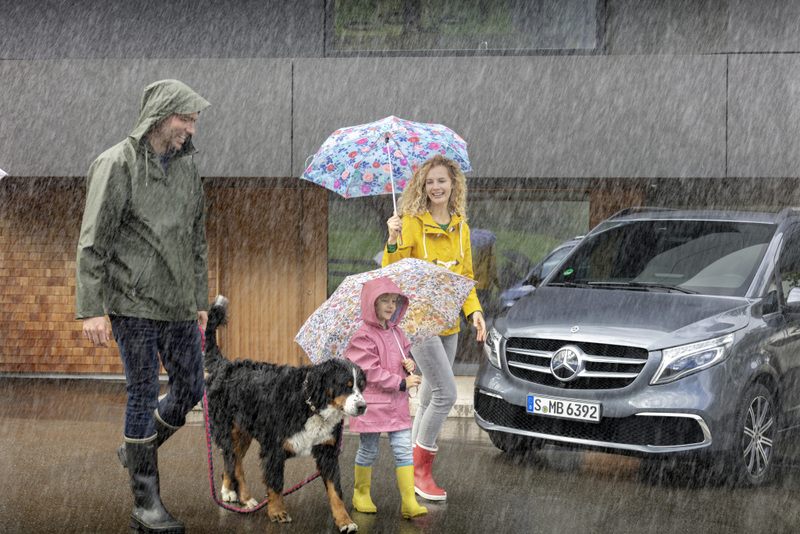 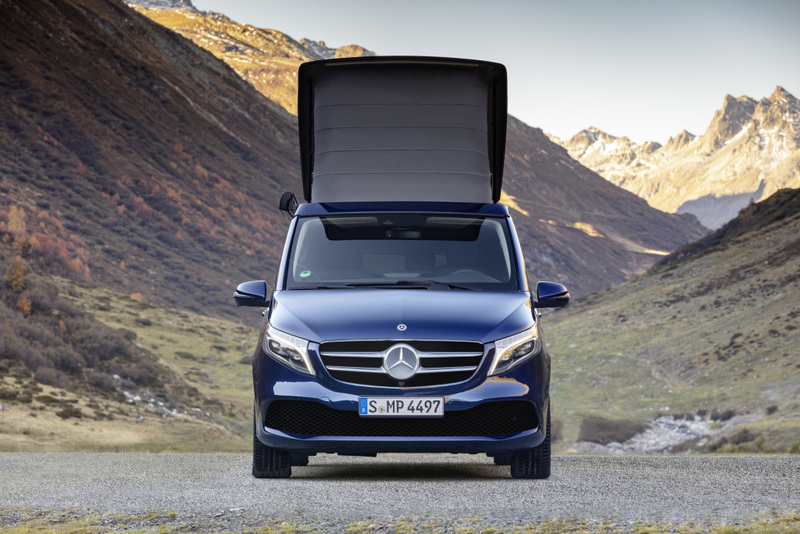 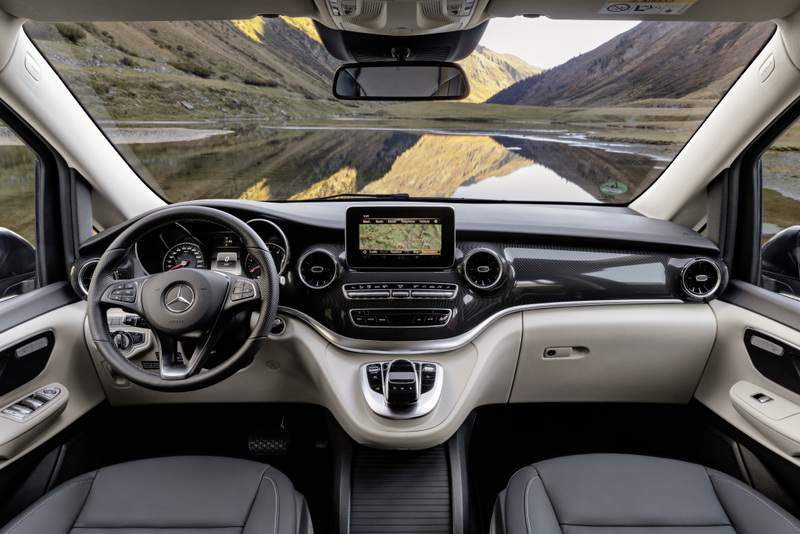 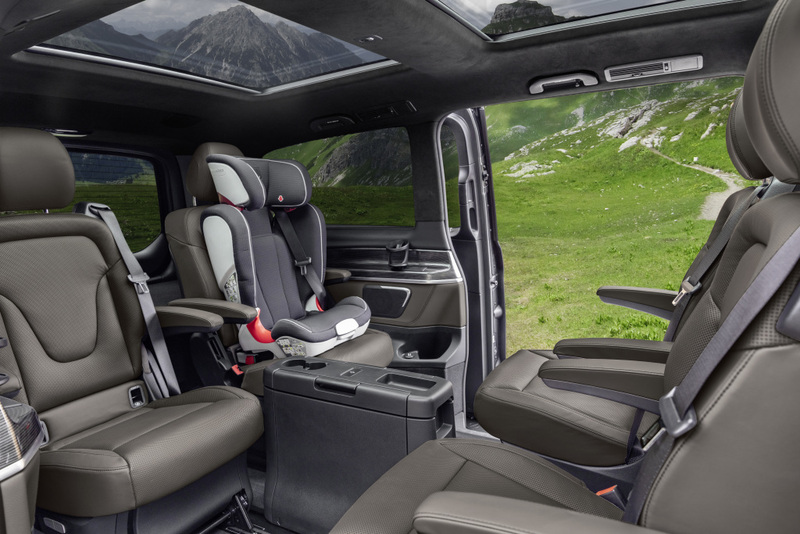 The Mercedes-Benz V-Class MPV was introduced to the market in 2014, featuring a new approach to design, value appeal, comfort, and safety. 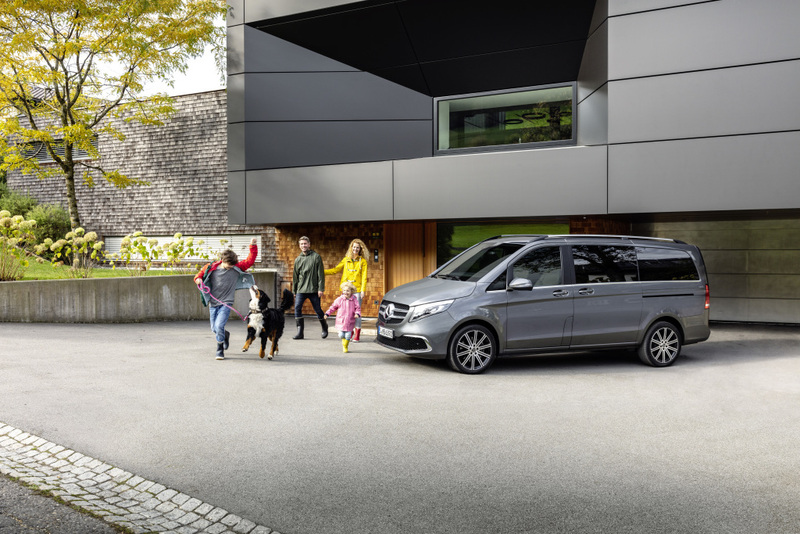 It is one of the German company’s most successful offerings, selling some 209,000 units since it was launched. 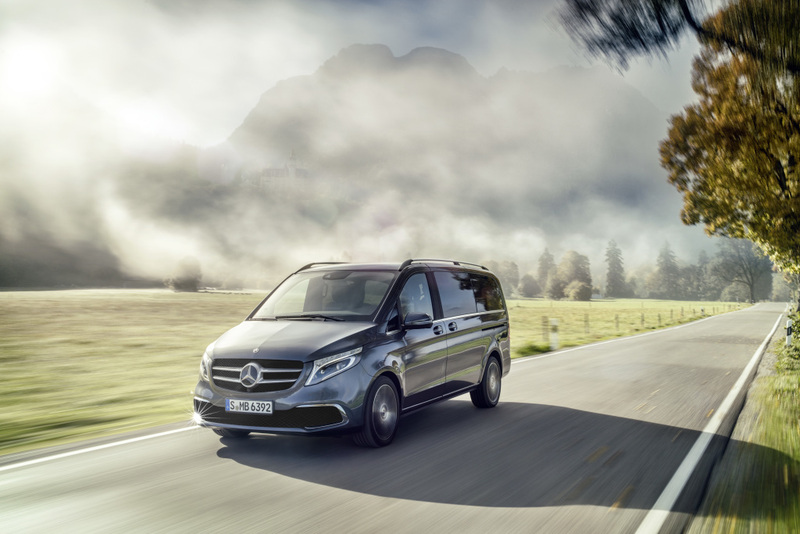 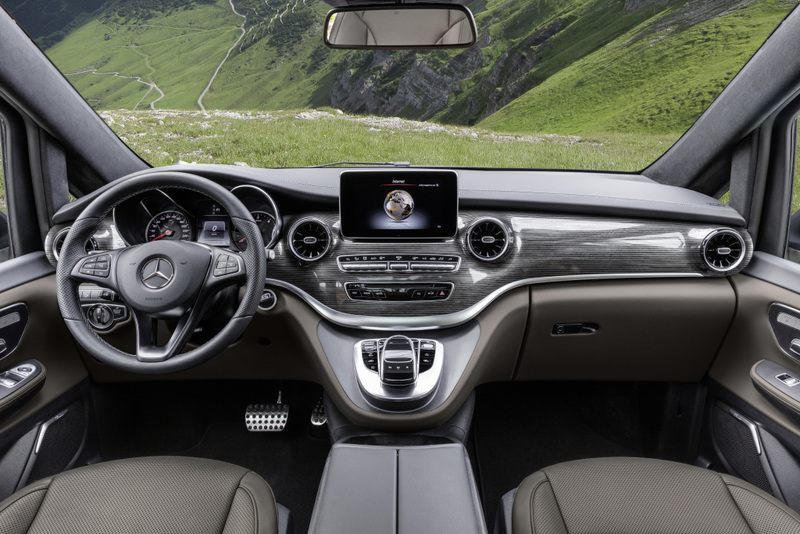 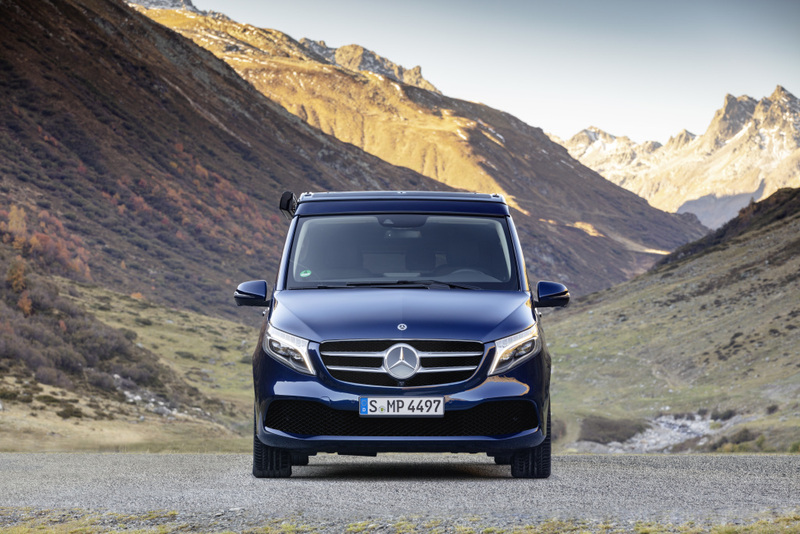 For 2019, Mercedes-Benz is giving the V-Class a facelift that will tweak its exterior, interior, and even its powertrain. 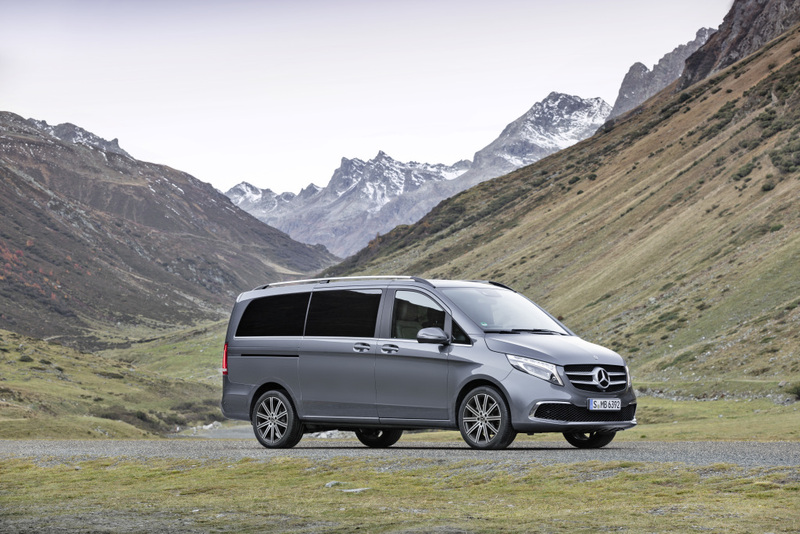 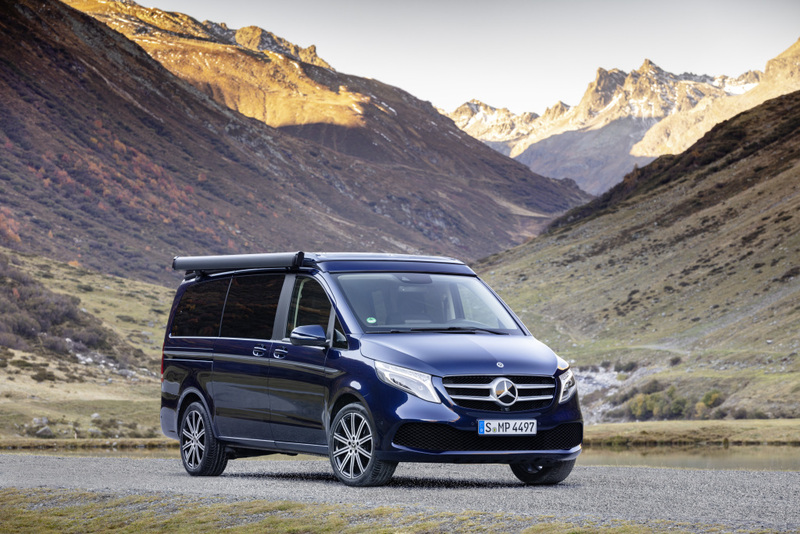 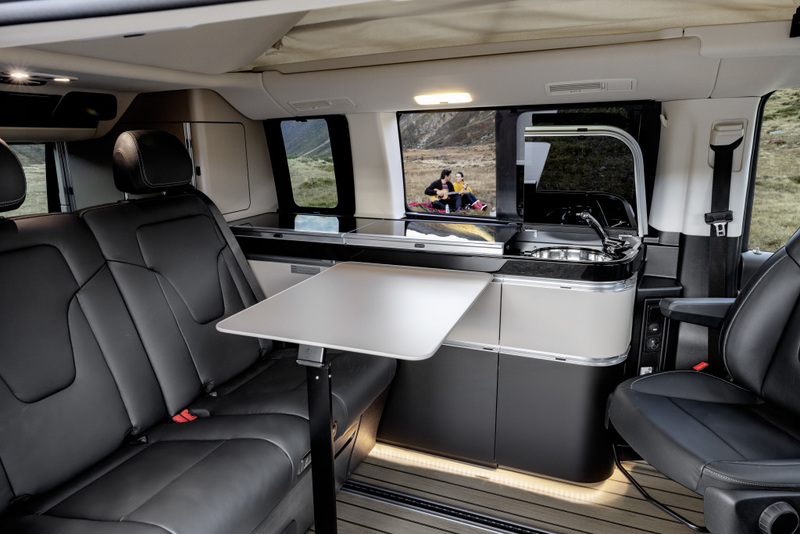 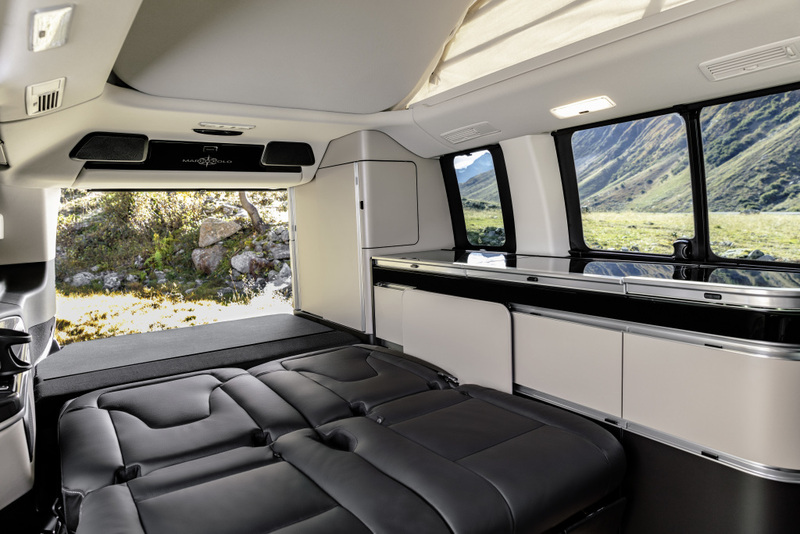 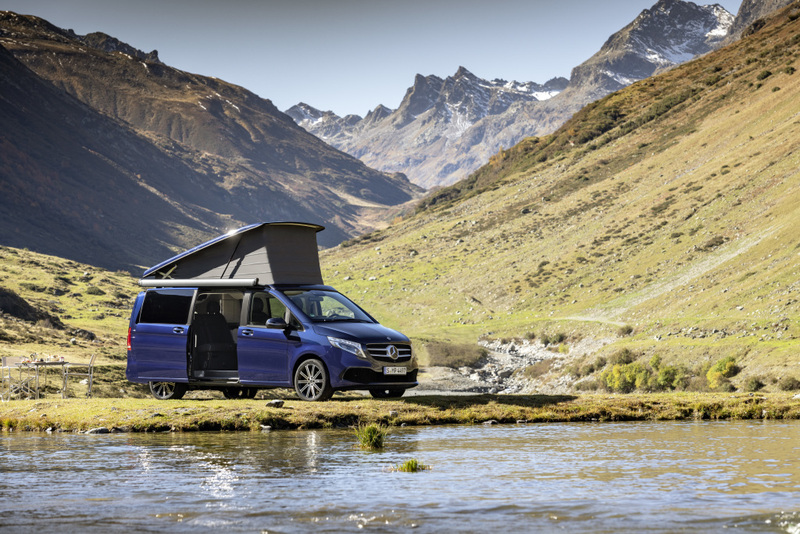 The new V-Class will start its price tag at 36,990 ($41,930) Euros in Germany. 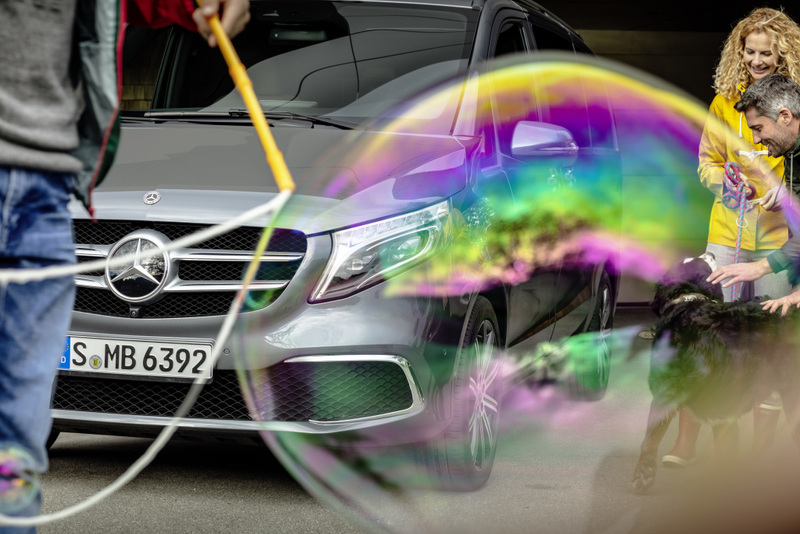 That includes the 19-percent VAT. 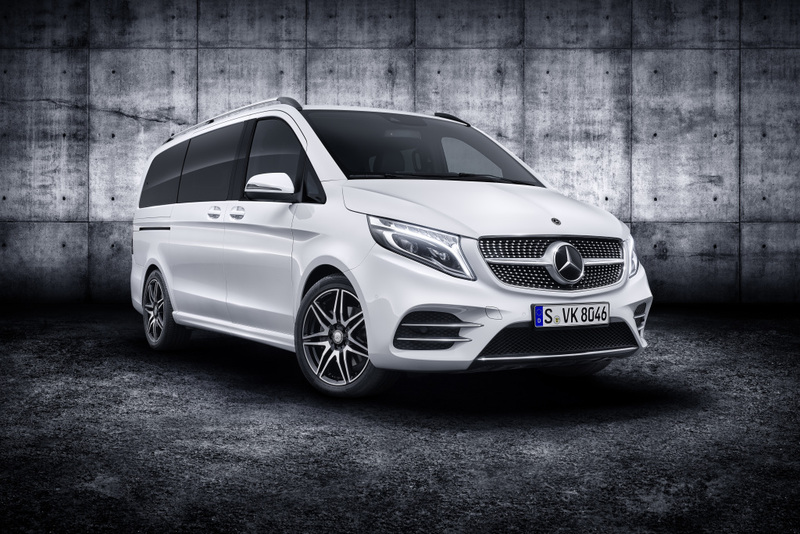 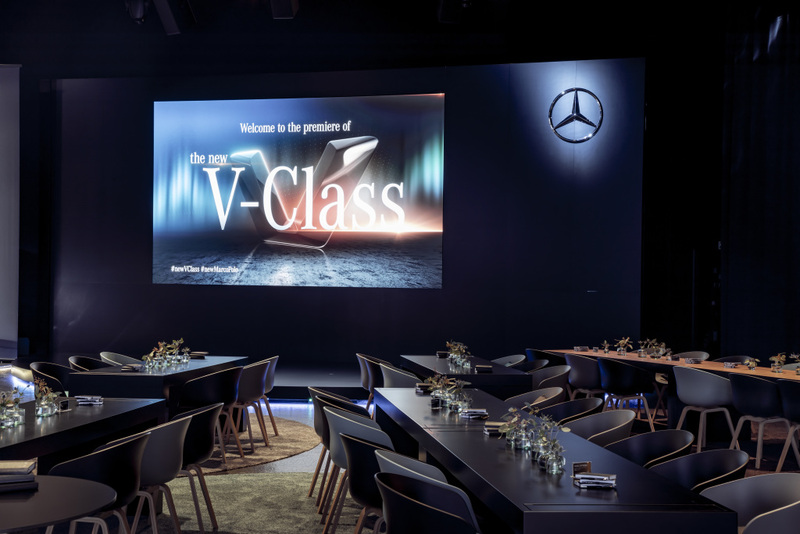 There’s a new front end for the V-Class that features a new bumper design with striking cool air inlets and a new diamond structure in the radiator grille. 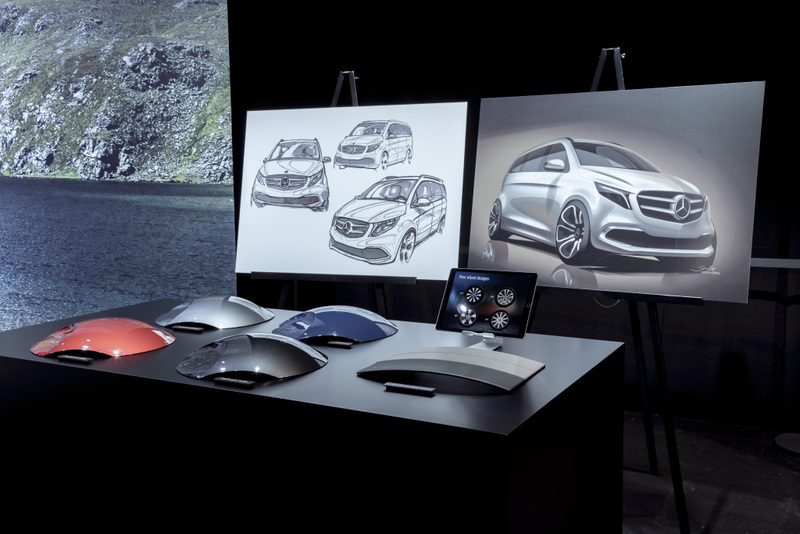 There are new paint colors available: graphite grey metallic and selenite grey metallic will join the original offering of black/white tones. 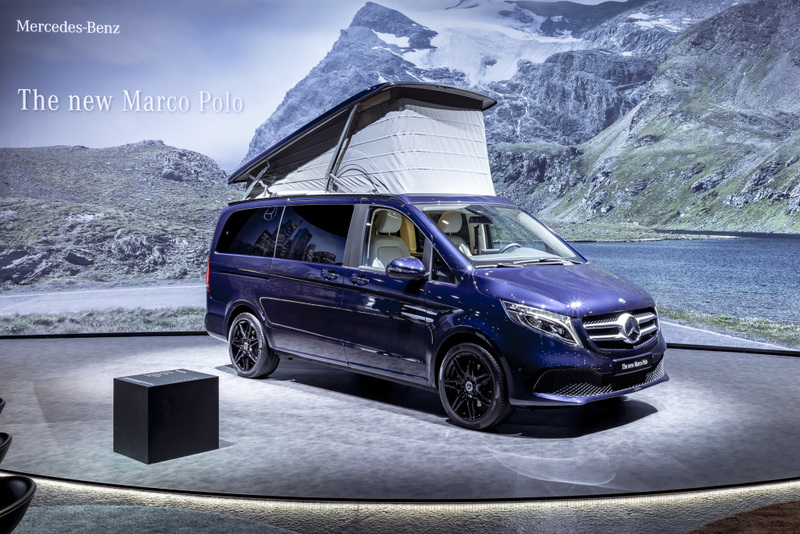 There’s also the optional paint color steel blue and hyacinth red metallic. 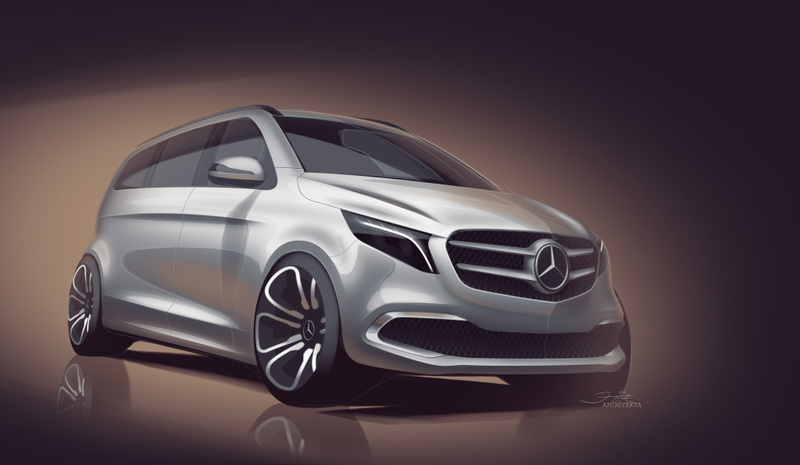 The light-alloy wheel designs will give an avant-garde look to the car, as well as the five-twin-spoke 17-inch light-alloy wheels painted in black with a high-sheen finish. 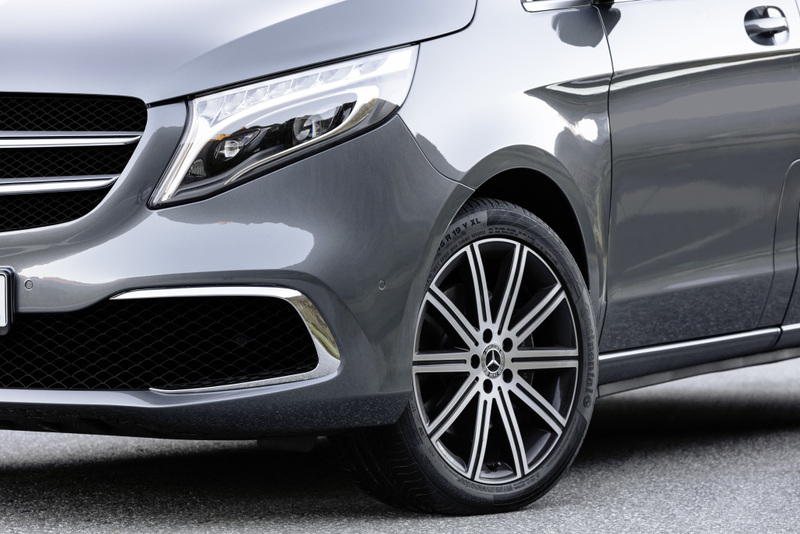 You can also opt for the 18-inch light-alloy wheels in tremolite grey with a high-sheen finish and five-twin-spoke design or in black with a high-sheen finish and five-spoke-design. 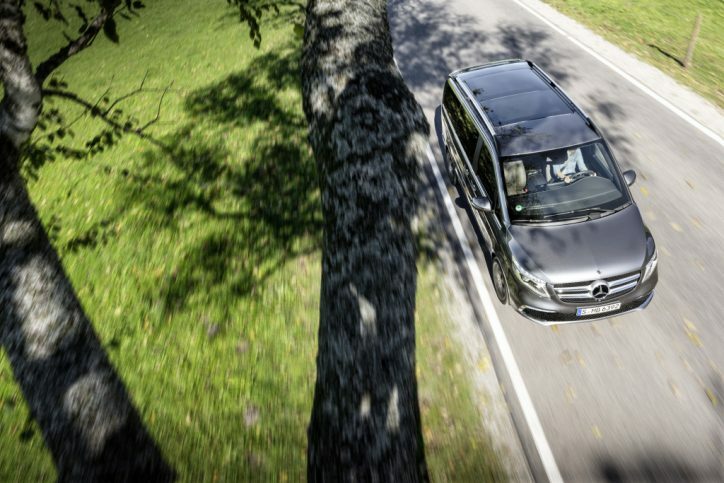 Go up the trim level and you’ll find the black-painted 19-inch 10-spoke light-alloy wheels with a high-sheen finish. 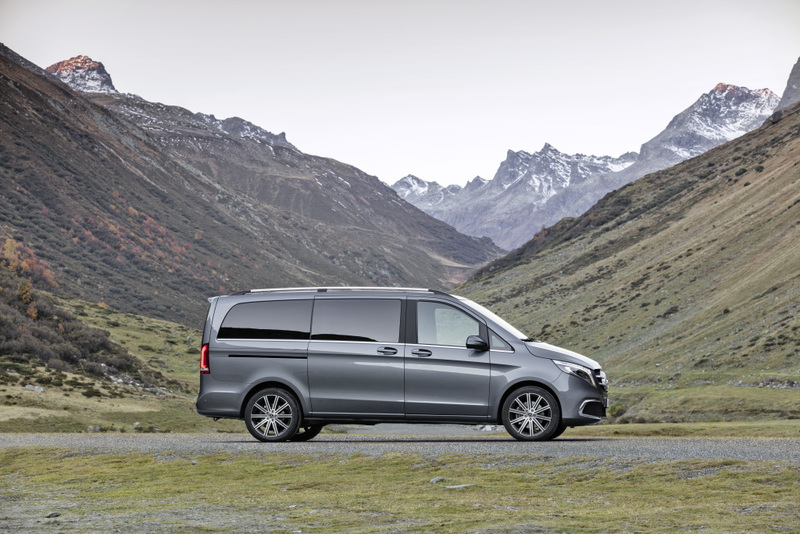 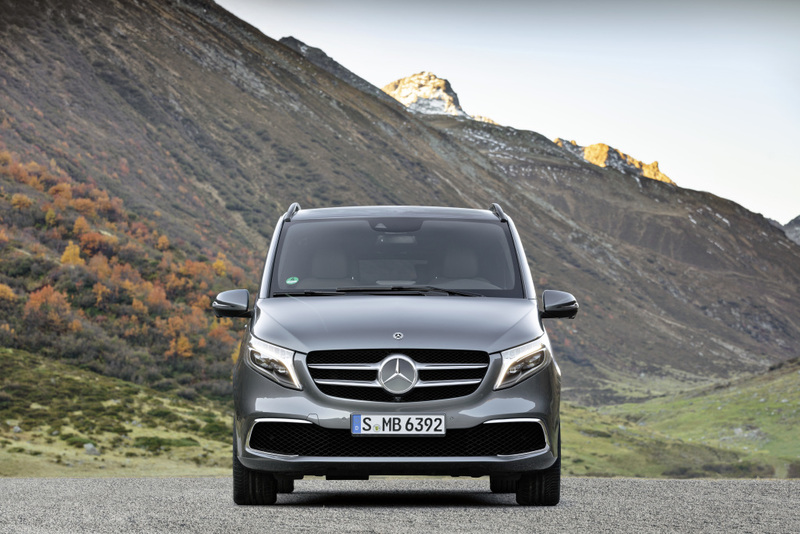 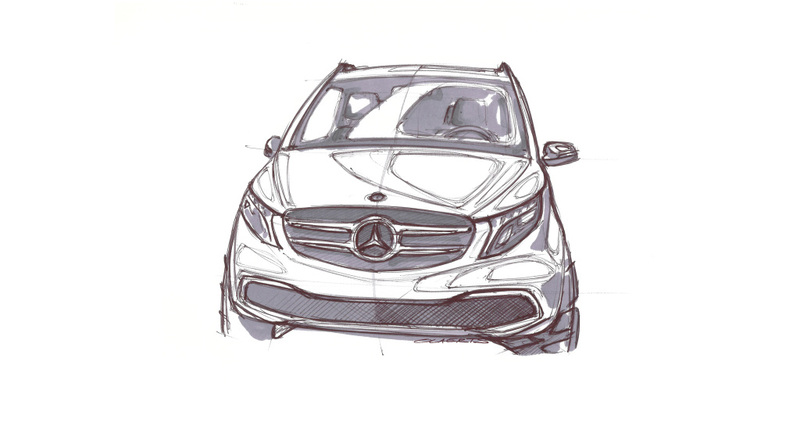 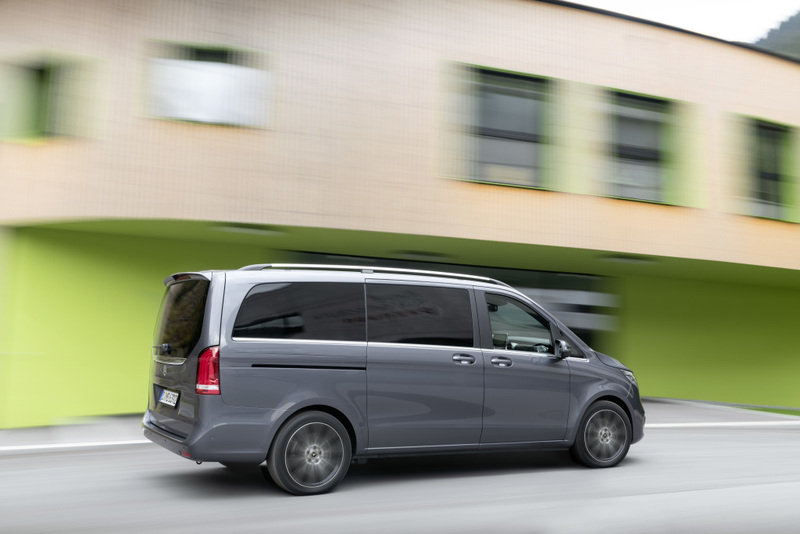 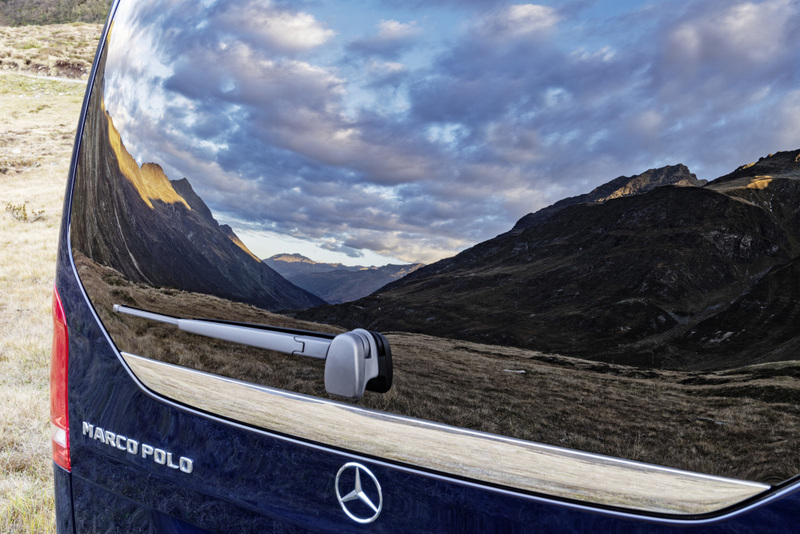 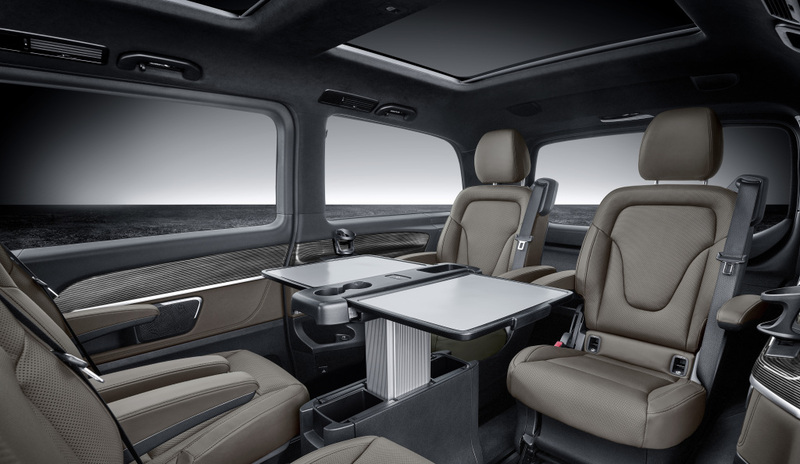 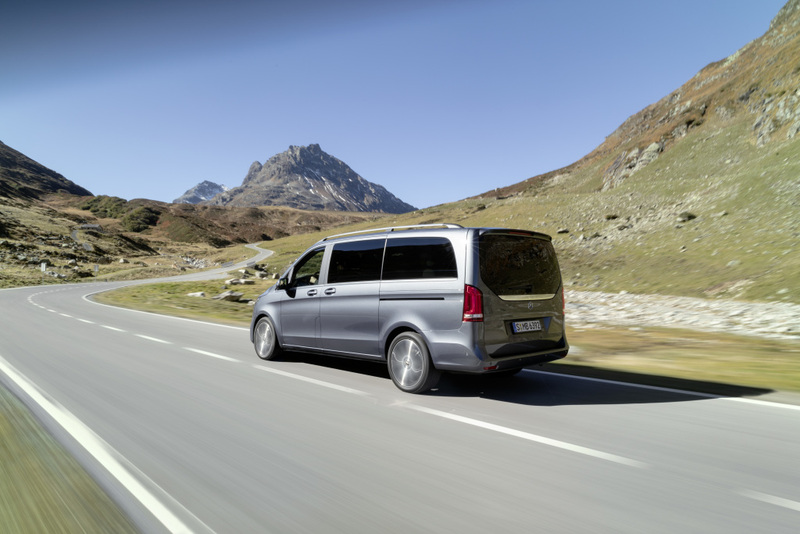 The design elements of Mercedes’ current passenger cars are transported to the V-Class. 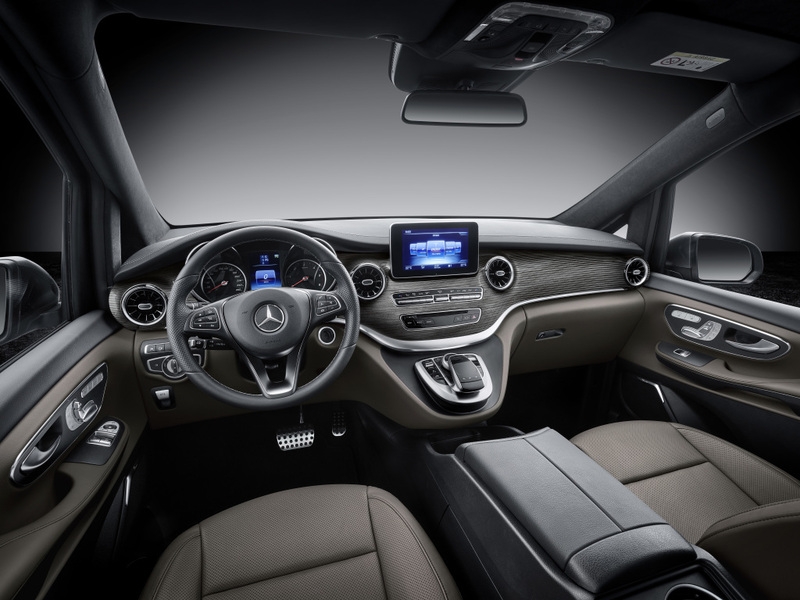 There are new air vents and new dials in the instrument cluster. 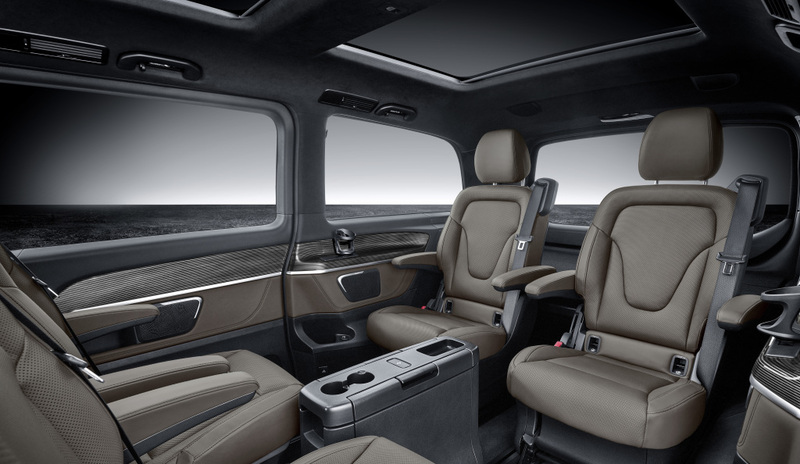 The upholstery is wrapped in Tartufo Nappa leather that makes the cabin look modern and elegant. 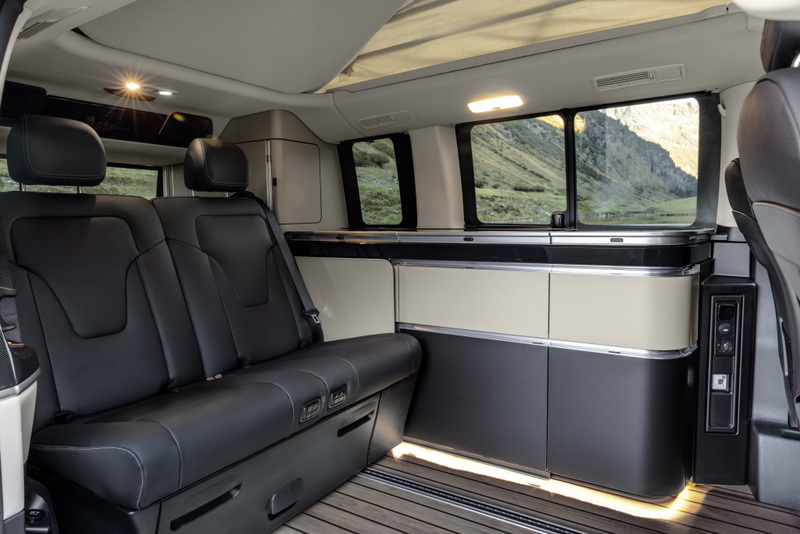 There are a total of six different upholsteries to choose: from Lugano leather and Nappa leather that are available in black and silk beige to the Santos black fabric in light and dark colors. 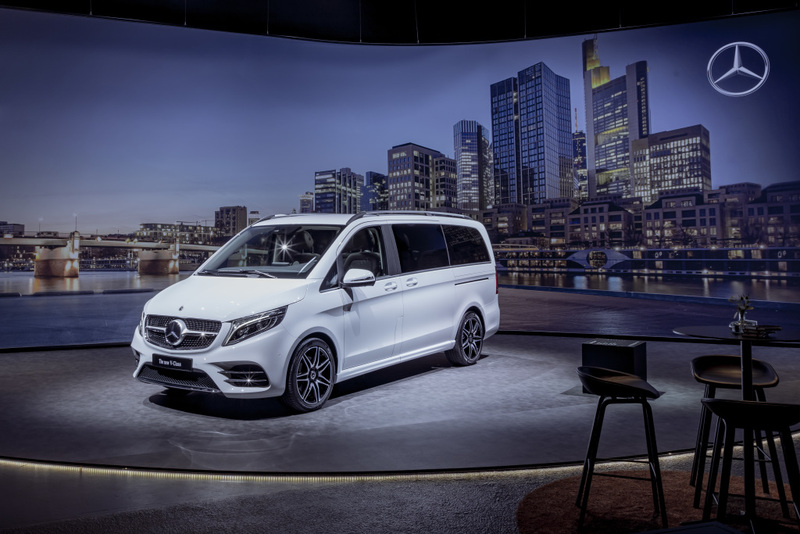 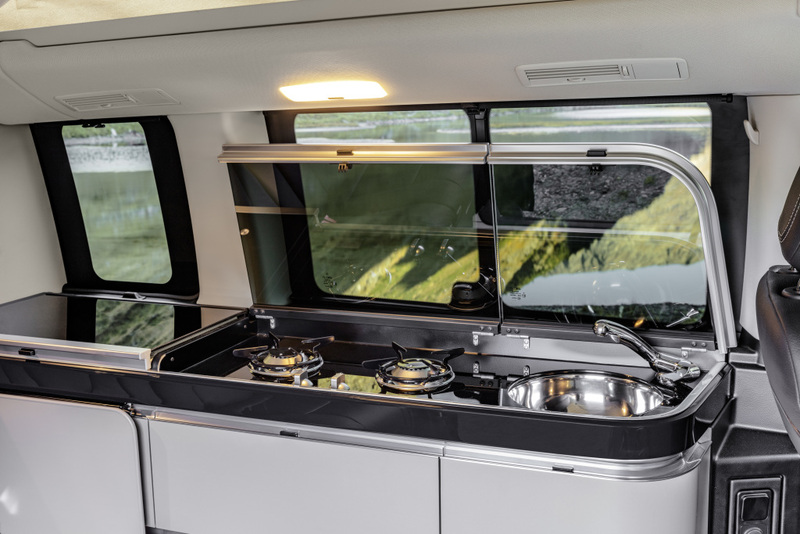 The new V-Class will be equipped with a four-cylinder OM 654 diesel engine with various outputs:the V 250 d with 190 hp and 440 Nm torque (combined fuel consumption 6.3-5.9 l/100 km, combined CO2 emissions 165-154 g/km) and the V 300 d with 239 hp and 500 Nm torque (combined fuel consumption 6.3-5.9 l/100 km, combined CO2 emissions 165-154 g/km).